Maple leaves in fall showing their red color. 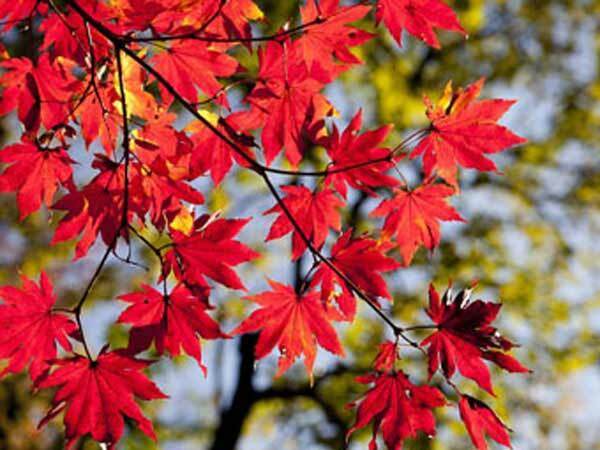 Autumn for the year 2018 starts on Saturday, September 22nd for the Northern Hemisphere and on Wednesday, March 21st for the Southern Hemisphere. Saturday, September 22nd is the 264 day of the 2018 calendar year with -7 months, -0 days until the start of Autumn 2018 in Northern Hemisphere (Denver, USA). Wednesday, March 21st is the 79 day of the 2018 calendar year with -1 year, -1 month, -1 day until the start of Autumn 2018 in Southern Hemisphere (Sydney, Australia).